After the chapter dedicated to drums, it seems natural to continue with the second most important element of groove: the bass guitar. To begin this section I would really like to stress a notion I've been mentioning ever since we started this recording series: working at the source. In the beginning there was... the bass! That might seem pretty obvious to most of you but I think it's important to remember that every electric bass guitar has a sound of its own. In other words,you should never forget Golden Rule #1. That's why I strongly urge you to carefully choose the bass you will be using depending on the sound you want for the song you're working on. Indeed, the closer the original sound is to the one you want, the easier it will be for you to get the results you want in the next stages of production. As obvious as it seems, do you really put this advice into practice? 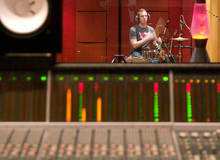 Keep in mind that if the biggest recording studios have backlines that would make any musician salivate, it's not for nothing. The idea is to be able to satisfy any possible craving in terms of sound. However, you most probably don't have a myriad of instruments at your disposal. Although, chances are you might be able to borrow the bass you need from a friend or acquaintance. And if that's not the case, you could always rent it. I can guarantee you that it's worth it. It's always better to have the "right tool" than to try to get the right sound with lots of processing during mixdown. The result will be much more natural and "proper." 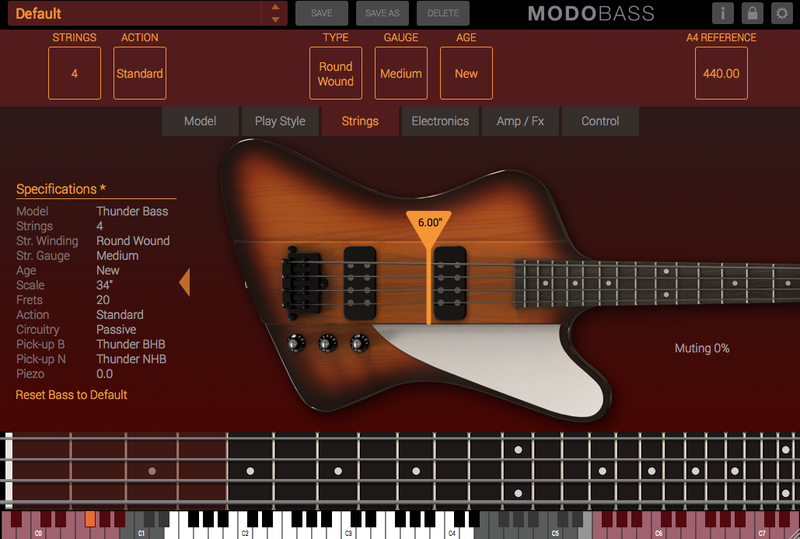 To create these clips I programmed a very simple bass line with IK Multimedia's Modo Bass, which uses physical modeling to recreate different types of electric basses. For these examples I used models based on a '60s Fender Precision Bass, a '70s Fender Jazz Bass, a Rickenbacker 4003, and a Hofner Violin bass. I think you'll agree with me that the differences are significant! And since IK Multimedia's virtual instrument features lots of parameters to customize sound, I will also use it to illustrate another crucial detail: the relevance of the strings for the overall result. The first clip is a modeling of a Gibson Thunderbird bass with brand new roundwound strings. For the second one, the strings are a bit older. On the third one they are really worn out. Finally, the last clip uses flatwound strings. As you can hear, the differences in sound are not trivial. And I won't mention the gauge of the strings, which also affects the overall result. P.S. Don't worry, next week we'll have a real bassist around who will also lend me a hand for the rest of this chapter dedicated to recording bass guitar.